I am fairly new to using tofu. It is a very versatile ingredient. 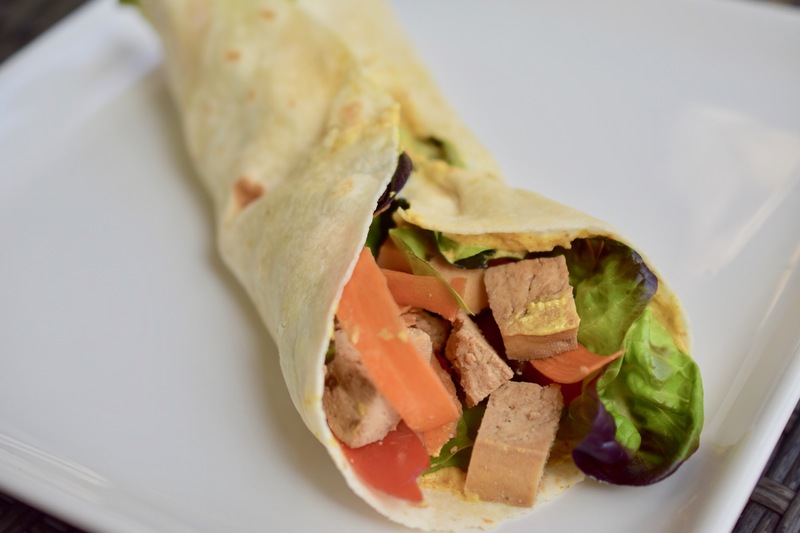 You can make savory or sweet dishes with tofu. It is used in stir-fries, buddha bowls, wraps, scrambles, the list just goes on and on. At my local grocery store it is $5 for a package of baked tofu of four pieces. That just does not seem right, so I made my own. By making your own you can easily change up the flavor profiles. This is a basic recipe just to get you started. The marinade is only 3 ingredients. That is pretty easy. Note: I find freezing the tofu gives it a “meatier” texture. I would not press the tofu for this if you do not want ugly slices. Learn from my mistake. I would, however, wrap the tofu in a towel and let the towel soak up the liquid. In a small bowl mix together marinade ingredients: coconut aminos, garlic powder and liquid smoke. Slice tofu into about 1/2 in slices. Pour marinade into a 13×9 baking dish. Place the tofu into the marinade. Let set for 5-10 minutes, then flip tofu over to marinade the other side for another 5-10 minutes. Place marinated tofu slices onto prepared baking sheet. Bake in oven for 15 minutes. 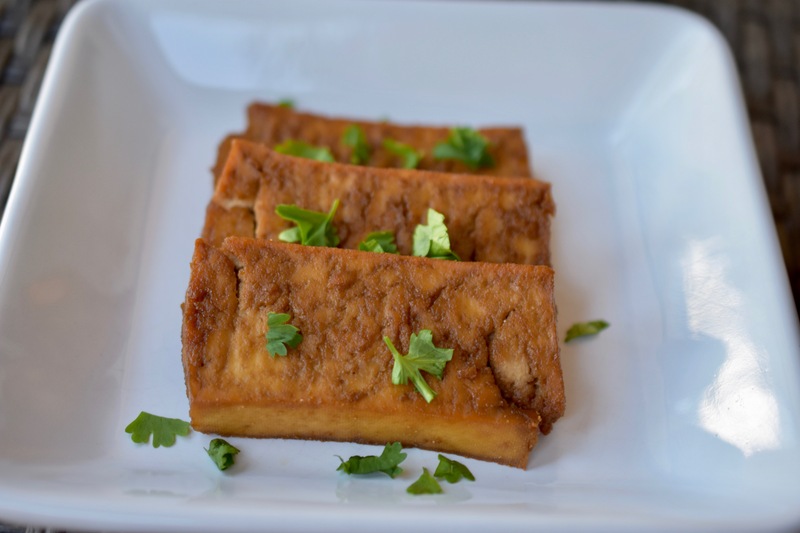 Turn over tofu slices and bake for an additional 15 minutes. Note: I noticed the tofu firmed up as it cooled.